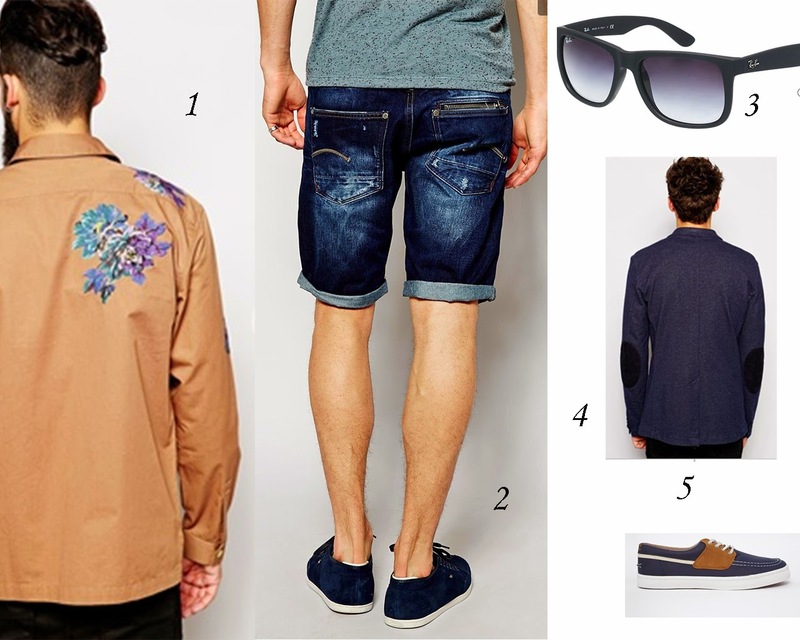 Styled BUY Divya: Festival and Carnivals. Served up stylishly. 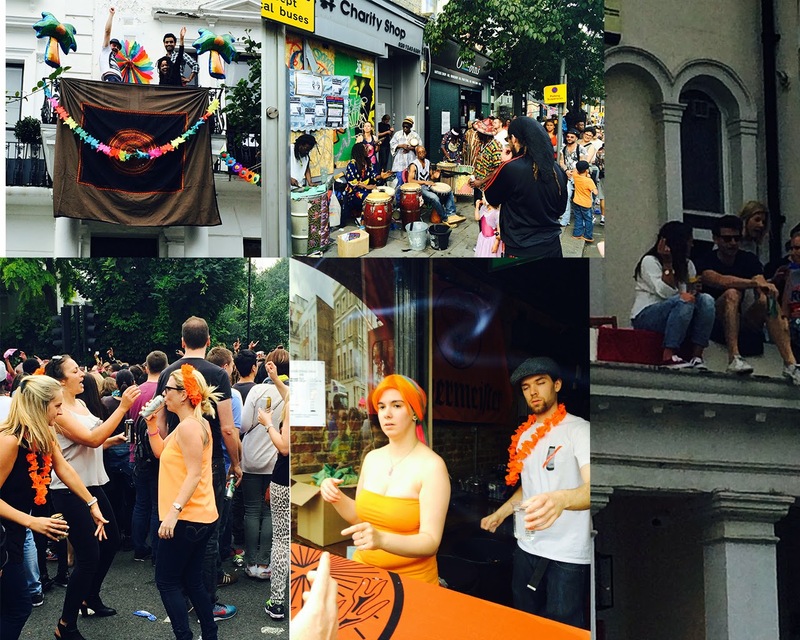 Festival and Carnivals. Served up stylishly. The place to go NOW, is to is the Burning Man festival. Its hotting up like Glastonbury and Coachella. 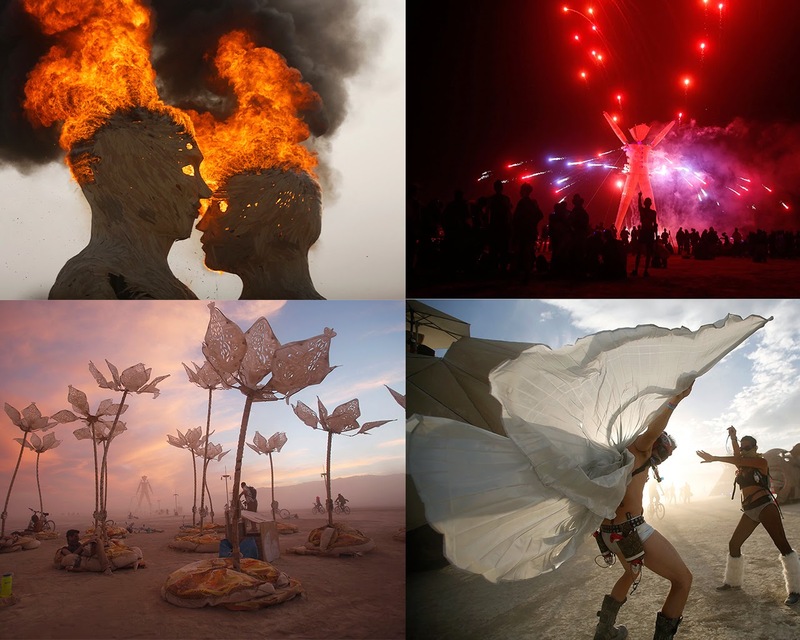 These are some arresting images from Burning Man. Once a year, thousands of people gather in Nevada's Black Rock Desert to create Black Rock City, a transient metropolis committed to society, art, individualism and independence. They depart one week later, having left no trace whatsoever. Even deliberating going to Burning Man for a first timer can be overwhelming . Burning Man is not for the faint of heart, with some exploration, preparation and design, an experience and prospect beyond your wildest dreams awaits you. In Black Rock City, you're guaranteed not to be the strangest kid in the classroom. And you will become a part of the developing community of Burners who are active year-round, around the world, ensuring that the fire of Burning Man culture never goes out. 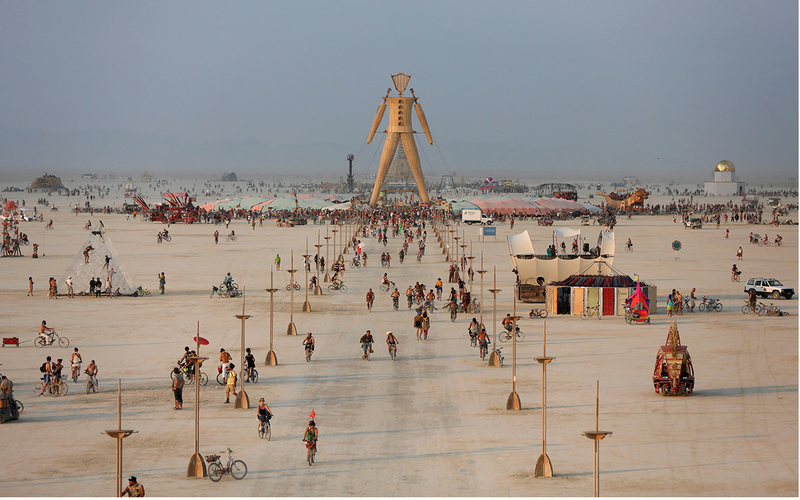 The weeklong annual Burning Man festival comes to a fiery end, with the burning of a huge wooden effigy that gives the event it’s name. The festivals site , on a dried up lake bed, is dotted with giant sculptures that are burned each night of the festival. More than 50000 revelers spend a week camping in the Black Rock desert in Nevada. Money is outlawed here , so the attendees must bring everything they need for the entire week at this rave described as “where Mad Max meets Woodstock ”. 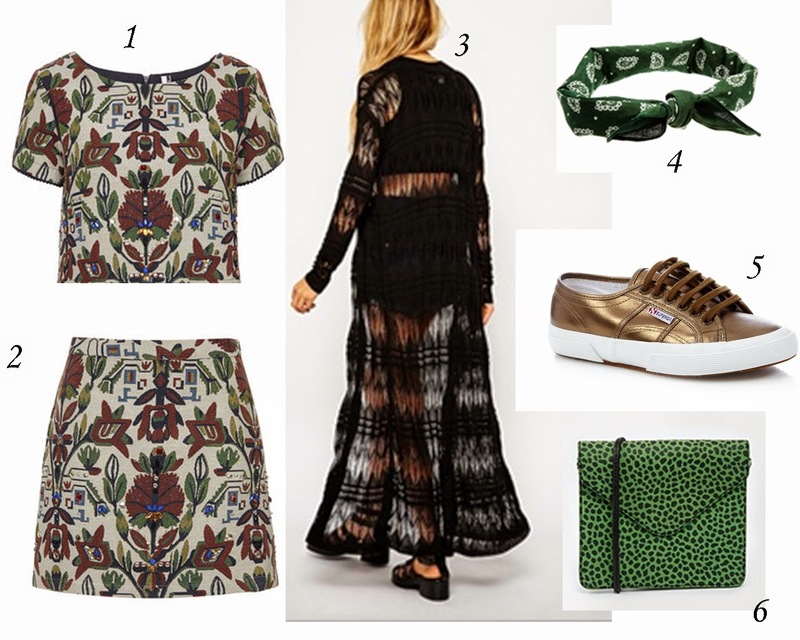 Festival and carnival style has been mastered by Kate Moss and Sienna Miller . Followed fabulously by Kendall and Kylie Jenner accompanied by Selena Gomez. These are the looks I found pretty cool at the carnival . 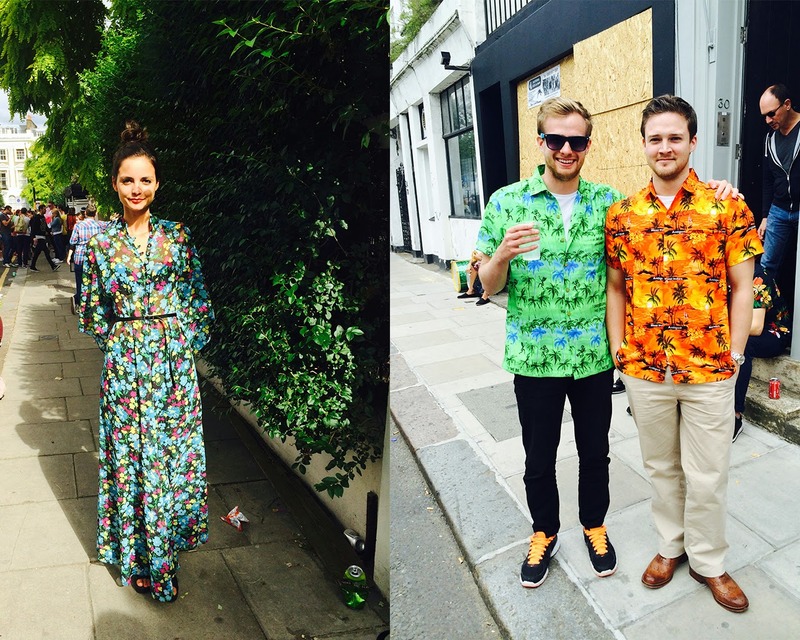 The lovely Sol Saul Diaz in a floral maxi dress and the 2 gentlemen made quite a statement in floral shirts. My picks for you gals and guys are these . 1. Knit embellished T 55 GBP buy this here . 2. Mini skirt 40 GBP can be found here . 3. A black crochet long cardigan a steal at 40 GBP . 4. Green hair band 6 GBP . 5. The bronze metallic Superga sneakers 50 GBP which I wear all the time and love can be found here . 1. PS by Paul Smith shirt 155 GBP . 2. Denim shorts by G star 100 GBP . 3. Ray Ban Justin shades 105 GBP . 4. Knit blazer with elbow patches 105 GBP . 5. Boat shoes here 40 GBP . Whoever said that men were low maintenance !